ANZ head of wealth products, Ana-Marie Lockyer, is to leave the business by Christmas. The departure of Lockyer, whose product duties include the country’s largest pool of KiwiSaver funds, coincides with a group restructure triggered by the sale of ANZ’s life insurance business. This May US insurance giant Cigna purchased the ANZ-owned OnePath NZ life business for about $700 million with the transition just completed. Lockyer, whose ambit also covered the bank’s insurance products, was part of the team designated to “evaluate, present, and execute” the OnePath deal, her LinkedIn profile says. She was “owner of [the] strategic alliance stream to ensure seamless transition from manufacture to strategic partnership”. Lockyer’s ANZ-linked career dates back to 2009 when she was head of strategy for then JV partner, ING. She then filled several senior wealth strategy roles at ANZ after the bank fully-digested the ING business in 2011. Prior to joining ING, Lockyer served more than seven years in the UK in various top-level product and strategy roles for Henderson Global Investors. According to an ANZ spokesperson, Mark Davies would take over her duties under the new title of general manager funds. Davies would have “responsibility for Wealth’s funds product suite, as well as customer experience, insights, reporting and customer communications”, the spokesperson said. Davies starts his new job this month. About 230 ANZ staff followed across to successor life business, Cigna. The deal included a 20-year distribution partnership with the bank, ANZ NZ chief, David Hisco said in May. “Under this agreement, ANZ will continue to provide life insurance to our customers but these insurance policies will now be manufactured and managed by a world-class insurance provider in Cigna,” Hisco said. Meanwhile, ANZ was also set to lose a senior macro strategist in the economics team with Philip Borkin understood to be replacing Bernard Doyle at the National Australia Bank-owned JBWere. 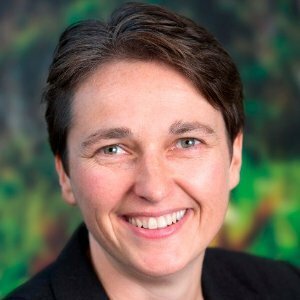 Borkin joined ANZ as a senior economist in 2015 following a five-year stint with Goldman Sachs in Auckland and Sydney. Last month Doyle resigned as JBWere investment strategist after more than 20 years in the role. He is expected to surface in rival broking house, Forsyth Barr, next year.